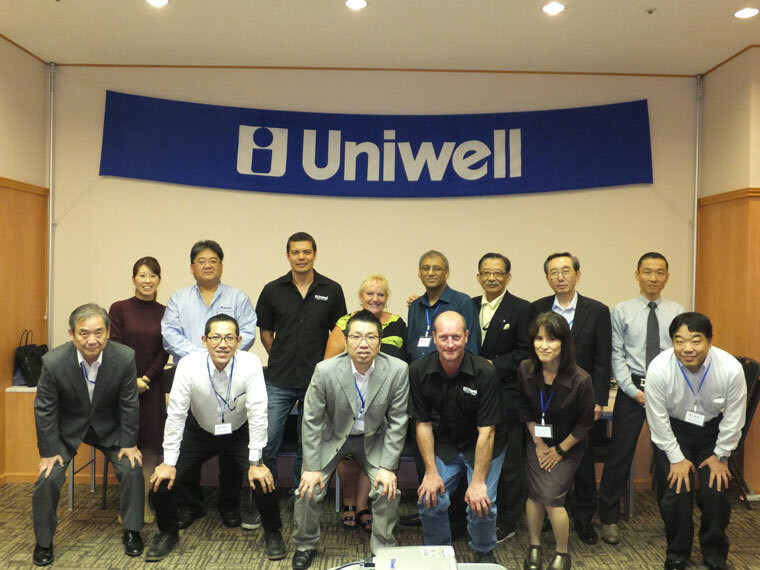 From October 26th to 27th 2016, 3 English-speaking distributors (from UK, Canada and Australia) and we Uniwell held the meeting at Uniwell Japan. The conference covered a wide variety of topics such as specs of our new model "HX-2500","ET-X100-GP", "ET-X100-RT", developing strategies to solve present problems and so on. It was not only "conference" but also became good opportunity to communicate between distributors face to face.